How to Write a Critical Response Essay. Writing a critical response essay first requires that you understand the article or subject in question. It is an essay where you write down your thoughts on the topic, and your responses must be engaging, well-informed, and analytic. You must have a claim or an argument that refutes the topic, or accepts it and further refines its key points, or highlights its strengths and weaknesses. Here are some tips on how to write a critical response essay. 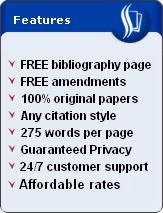 Begin your paper with a brief summary of your topic. Review the main arguments and the supporting premises of the author. Be sure to include title of the "text". Your text where your critical response essay will be based on can be an essay, a news article, a book chapter, a movie, a speech, and virtually anything that can be perceived and be given meaning. For example, your topic may be about the speech of Martin Luther King, Jr., "I Have a Dream." Summarize the main points in the speech. In your introduction, follow your summary with your claim or argument. Include your primary justifications for your thesis. For example, if you agree with some or all of the arguments in the speech, cite the main reasons why. If you do not agree, also state your reasons. 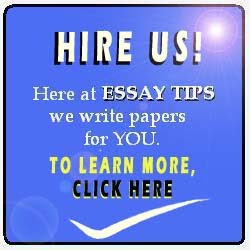 What is important is that you write down your position as it is crucial for your critical response essay. Begin your succeeding paragraphs with each primary justification. For example, in your second paragraph, your lead sentence should be in the form of I agree/do not agree with X because of Y1. Use the same format for your other body paragraphs. Follow each of your primary justification with your supporting arguments. Be sure to refer to your "text" in pointing out strengths or weaknesses. You may use either inductive argument or deductive argument in forming your line of reasoning. End your critical response essay with a concluding paragraph. It is where you will restate your thesis statement and your primary justifications for your position. Avoid adding new information. It should be done in the body paragraphs. In writing a critical response essay, the most important point to remember is that you should argue your case for or against the "text". Refute it, but do so with clear reasons. If you accept it, do not end there. Rather, improve the strengths and clarify the weaknesses. Remember, in your critical response essay, you must respond, and you must respond critically. You may also want to read more about how to write an essay.